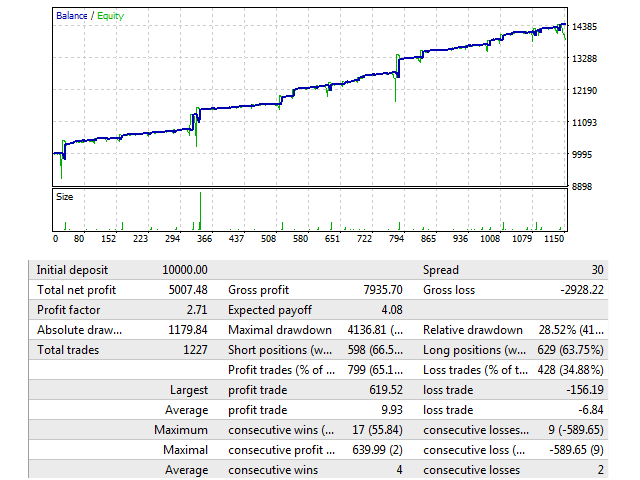 This is an automated expert advisor that uses pending order and martingale strategy to gain profit. It is designed to make quick profit as fast as possible. Max Spread: EA will not open new order if spread is more than maximum spread allowed. Take Profit: value in pips. Pip Step: distance between orders. ONOFF: on or off target. Profit (%): EA will close all open trades and delete all pending orders. Then, EA will be removed from chart when profit reaches the set percentage from initial balance. 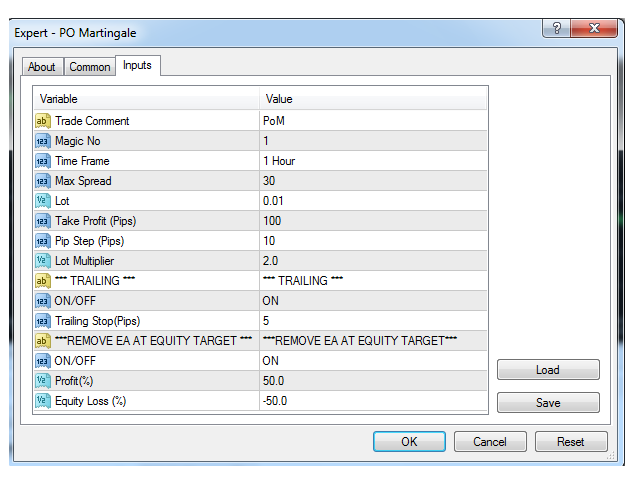 Equity Loss (%): EA will close all open trades and delete all pending orders. Then, EA will be removed from chart when equity drops below the set percentage from current balance. Has any update been not opening orders?